Ruby Bingo Review - 500% Cash Match Bonus over first 2 Deposits! Unfortunately there is no promotional scheme available on Ruby Bingo to assist us in advertising the site. As such we have provided you with an alternative called BoyleSports Bingo, which is an impressive gaming site offering a great choice for any type of player. They say diamonds are a girl’s best friend but we at Mobile Bingo Bonuses are here to dispute that. We believe Ruby Bingo will bring you everything you’ll ever need including great gaming and bonuses. 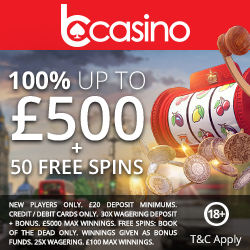 So if you’re a fan of bingo, progressive jackpots, scratch cards, casino or slots such as Chests of Plenty and Wild Gambler then this is the place to be. Registering with Ruby Bingo is easy and when you make your 1st deposit you’ll receive a 200% cash match bonus on a minimum £5. You simply need to add the £5 and stake it on bingo tickets and the extra credit will automatically be added to your account. With this bonus you’ll end up with £15 to play with, which is plenty of gaming credit to really try out the site before adding anymore of your own money. Ruby Bingo keep the bonuses going on your 2nd deposit with a 300% cash match bonus up to £50. So if you take advantage of this offer and deposit £50 then you’ll receive an additional £150, making a grand total of £200 to game with. From the 3rd deposit onwards Ruby Bingo will thank you for your loyalty by giving you a 10% cash match up to £50 every week. The 10% is based on total losses on Bingo tickets purchased from your cash balance, and will be credited to your bonus account the following Friday. Ruby Bingo believe that part of the fun of online gaming is meeting new friends or roomies, as such they offer an array of chat games and quizzes. With names like I Spy, Anagrams, Trivia or Karaoke Queen there is bound to be a game for you, so check them out. 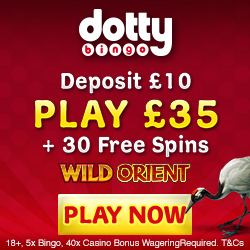 From the point you register you’ll join Ruby Bingos loyalty scheme, where to earn points is as simple as playing. These points can then be converted into extra gaming credit for more fun, so keep an eye on your account because they’re instantly added. They accept the usual banking methods including Credit and Debit card, Neteller, Paypal, Paysafe Card, U Kash, Skrill and Entropay. So if you’re ready to register and claim your 200% cash match bonus, simply head to Ruby Bingo.